Don’t want to spend days or weeks learning to make your own forms? Use Autoxloo’s patented technology Make-A-Form™. It is a professional form builder which allows to create your own custom forms in only a few minutes. It’s unbelievably easy to use and affordable. This module gives you an opportunity to upload forms, add graphics, text and photos. The custom forms you’ve been wanting can be created in minutes. 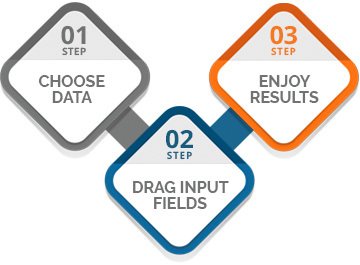 Drag input fields into place and a new form has been born. Drag & Drop editor. Yes, it’s so easy. We could not have made building a form more simple. Add your information and Make-A-Form™ does the rest, aligning everything for great results every time. With full control over function, you can be sure that you’re getting the exact form you’re looking for. There is nothing to download or install. Make-A-Form™ has an easy to use interface, not just for IT genius but for everyone. How else do you think our clients have built customized forms on their own? Make-A-Form™ is an extremely useful tool for Buyer’s Guide, Window sticker and Addendum module. No more handwriting the year, model, make or any other information you want on the buyer’s guides. Everything is FULLY AUTOMATED. Professional and detailed buyer’s guides and window stickers will keep your dealership compliant, save you time and avoid hefty penalties. Add QR Code to the form using Make-A-Form™. QR codes can be used to send a URL, SMS, MMS, Email, Phone number or text, content which is ideal for a car dealership as it allows the flexibility to promote all facets of their product line. 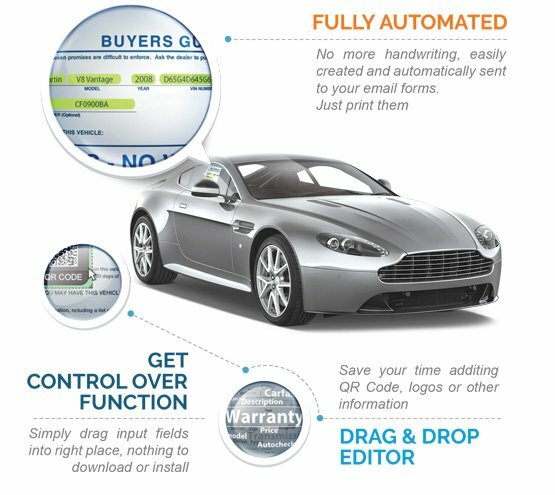 The feature is also robust enough to dynamically generate a unique QR code for each vehicle automatically that can be used across multiple advertising mediums to drive traffic back to a vehicle details page. Try out Make-A-Form™ to see how form building was meant to be done. Be smart by saving time and effort.